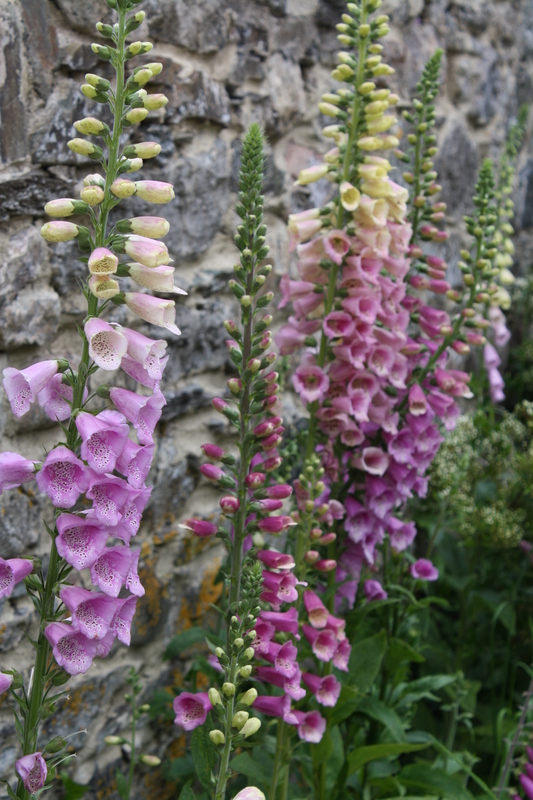 In my Gardening Blog today I will be wittering on about the weather as usual as well as warning those of you who have ordered a flower box to grow to get ready, showing off about my tractor driving skills and treating you to some more photos of beautiful garden shots. We have all been enjoying some proper hot sunny days the last couple of weeks and oh boy was it was needed. All around me I can see the effect on growth in my field, the herb bed at the field kitchen, the toms and cucs in our polytunnels and well just everywhere around. It fills me with joy I have to say. 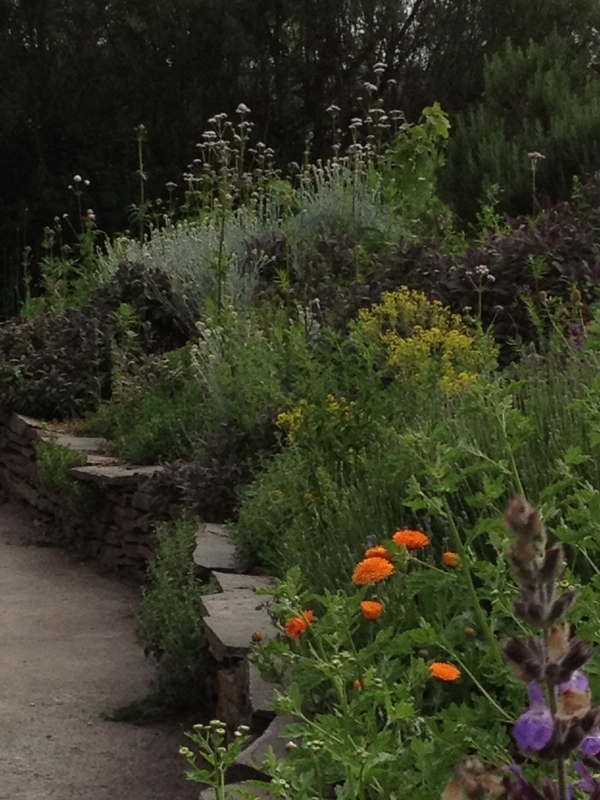 The Herb Garden at Riverfords restaurant , The Field Kitchen. However…..I feel the odd heavy shower at night would improve life even more. Like the one we in Buckfastleigh had last Saturday night at 4 or 5 in the morning (officially Sunday). It was a proper deluge, a downpour and was so loud that it woke me up. 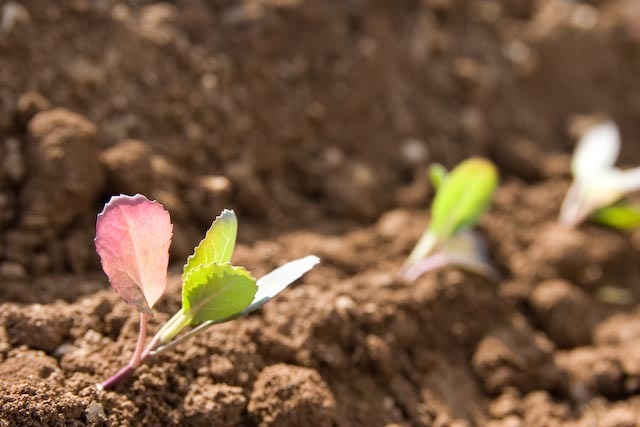 I was delighted as I had just planted my first seedlings in my flower field that very morning. What luck! Obviously I had watered them in already but this extra dousing was just the ticket. In previous years I have planted up my field in the first couple of weeks of April. This spring has been unusually cold and then rained for ages and no one could get on the land to cultivate-hence a late start. These cut flower kits are being delivered from next week. The plants have arrived and are looking great. A couple of varieties haven’t germinated very well so we have a bit of substitution here and there but all in all, it’s looking good. Having originally worried that this kit was going out too late in the season it turns out that what with the weather we’ve had, it’s really an ideal time after all. So if you have a box arriving, spend some time this bank holiday weekend preparing your site for your cutting garden kit. If you haven’t already dug in some manure, do so now or chicken pellets will also do fine. Flowers don’t need as much nutrients as veg so they say. You can end up with too much leaf and not so many blooms but I am not totally convinced. The years I have had muck spread before cultivation everything grew lovely and tall and produced buckets and buckets of flowers. Don’t over do it but a couple of sacks of well rotted manure chucked about ‘never did no one no harm’ as we say down here. 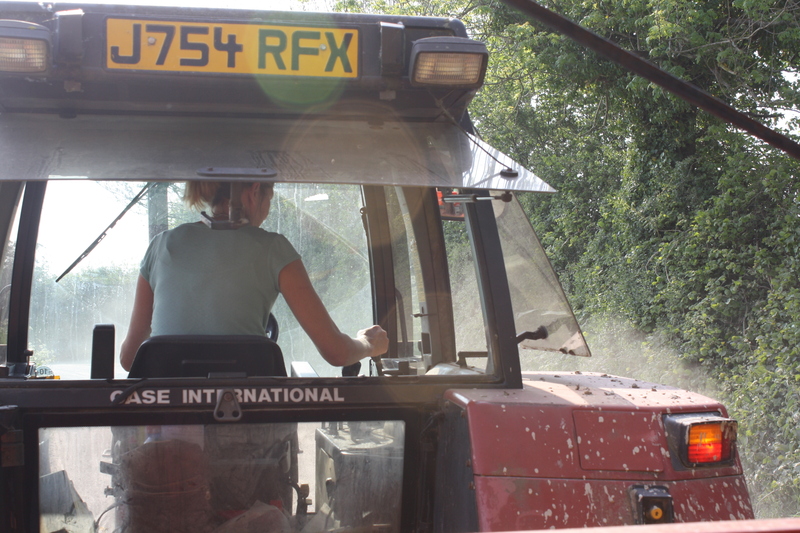 This week I have given my first farm tours at Riverford. I have been training over the last few months and to start with was very wary about driving a massive tractor, pulling an extremely long trailer behind it. But I have to say, not wanting to big myself up or anything; I am a dab hand at it now. I can back it up too, round quite awkward corners where pallets have been strategically placed in the way, to really put me through my paces!! Some of the male staff were pretty skeptical to begin with but I am pleased to say they were wrong. I am pretty good at it. But more about the tours next week where I will introduce you to Julius, a Ugandan pineapple farmer who I have had the pleasure of working with this week, teaching children about growing and showing them the farm. Here are a few photos for you to enjoy. Formal garden with loose informal planting. I am off to London for the jubilee celebrations and to see my offspring. Happy growing and don’t forget to water in this hot dry weather. I will be talking about the weather in true English style, be sympathetic and give some support to all you growers out there battling with your veg/herb/flower gardens, encourage you to try a Riverford Flower Box To Grow and inspire you with some photos of gardens I work in. Heavens Above! What is going on? In recent times we have had the driest autumn on record, the driest winter, the coldest April and now the wettest too. How about the hottest summer next please. It really makes life rather difficult for anyone trying to grow anything at all. I read some garden articles in early spring listing plants suitable for drought as this is what we were all expecting then, hose pipe bans spreading across the country like wild fire and then it starts and we are all relieved to have at last a shower and then another….. and another …..But this onslaught and absolute deluge of rain that we have been subjected to over the last few weeks is just all too much. Maybe an article on damp gardens is called for now. It is pretty miserable working out in this kind of weather and sometimes if it’s persistent enough one just has to give up. 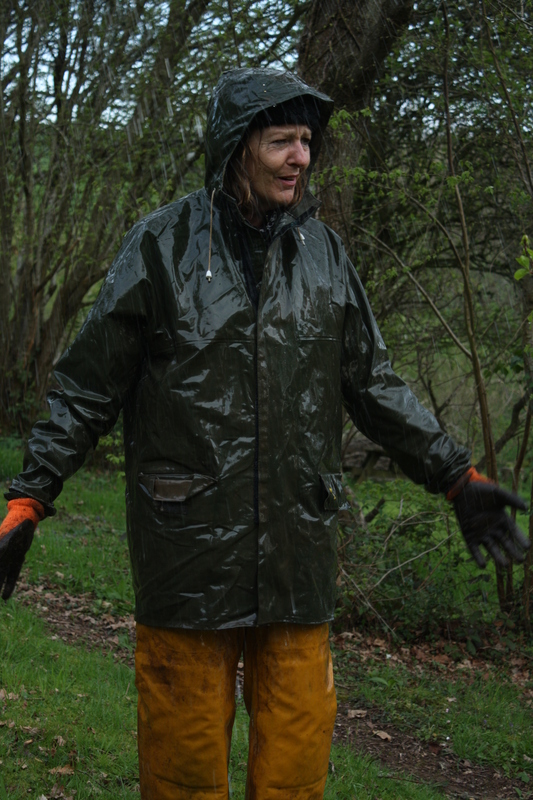 I have pretty good waterproofs in the form of fishermans salopettes, wellies, a coat and an assortment of hats, (shorts and a sun hat in the car too, just in case, yeah right!!!). It is not a pretty sight! Even some of the field workers have had their hours cut as no planting can be done because it’s impossible to get the tractors and planters on to the ground. Things are not happy! Veg and heb box to grow customers have had their plants for a month now and hopefully have manages to plant them up. Nothing has grown much this last month because its been unusually cold and very wet. My courgettes have copped it…just couldn’t cope, simply drowned and my other seedlings are sat there not growing and looking rather sodden and sorry for themselves . All you can really do is keep checking for slugs and snails who come out in troops in this weather. If really keen you could cover the plants with cloches to try and keep some rain off them and also raise the temperature a bit. We could all do with some sunshine to make the plants grow. The Flower Box To Grow is my baby in some ways as growing cut flowers is my speciality so riverford have used me to select the plants and varieties that come in this grow your own kit. 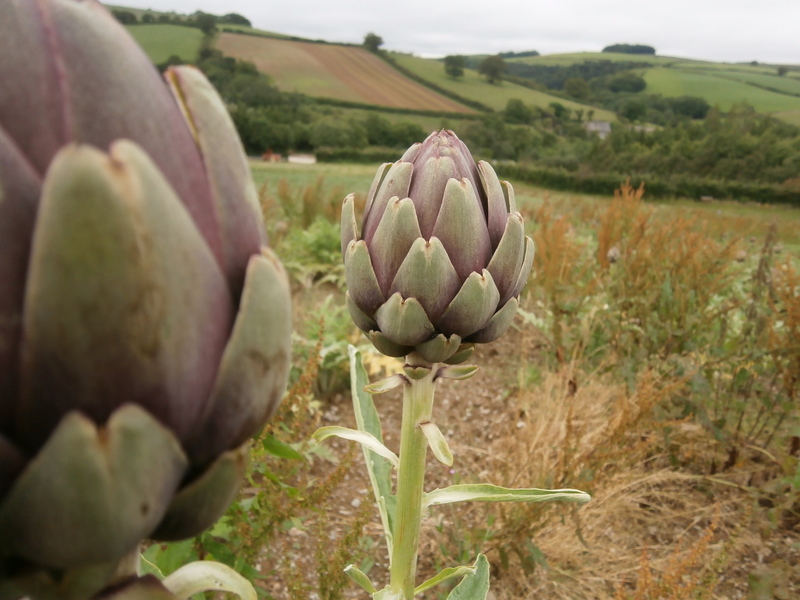 I have grown organic cut flowers in a field I rent from riverford over the last four years. The Kit will provide you with flowers to cut and enjoy in a vase through out the summer and well into the autumn. 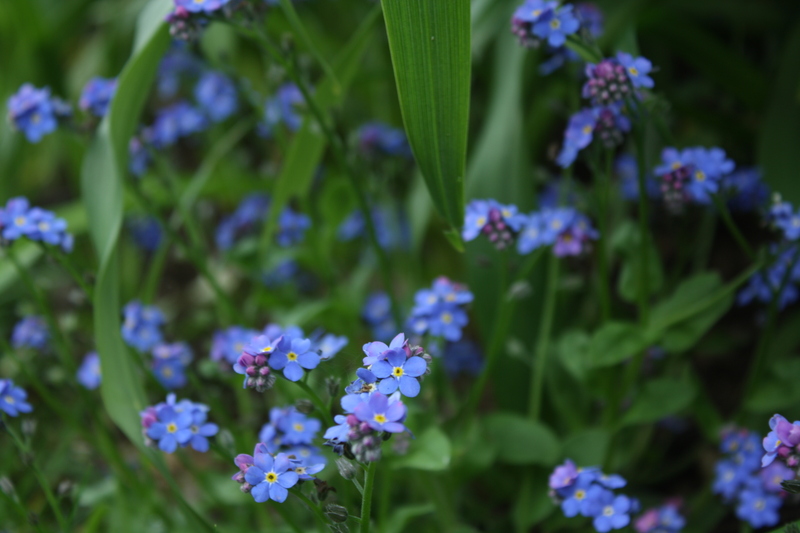 The flowers are all traditional English country flowers such as cornflowers, bells of Ireland, love in a mist, sunflowers, snapdragons and so on….take a look and be tempted. The kit comes with 54 seedlings and two packets of seeds and is extremely good value for money and obviously I highly recommend it. What with all the rain perennials have pretty much doubled in size over the last few weeks and have been really enjoy this long awaited drink. I am lucky enough to work in some really beautiful garden in the local area and to cheer you all up and possibly inspire you I will show you some photos of some of these. 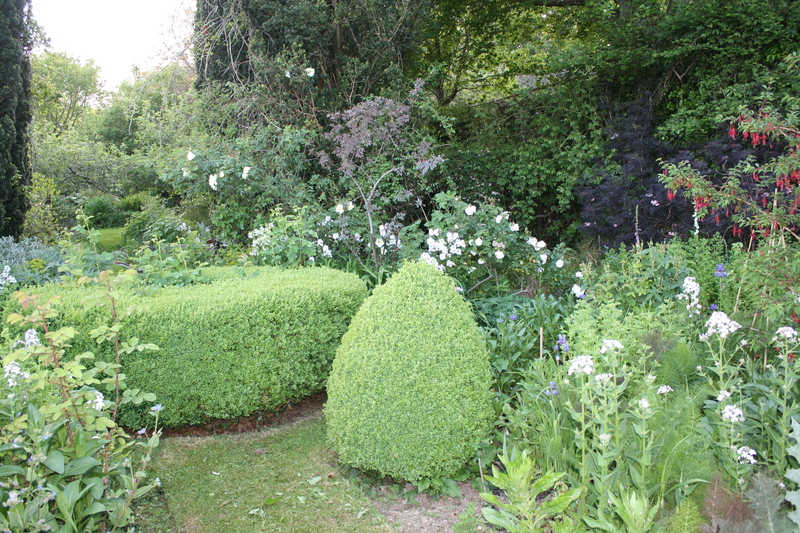 This garden is partly walled and formally planted with fastigiated yews and lots of shaped box and box hedging. 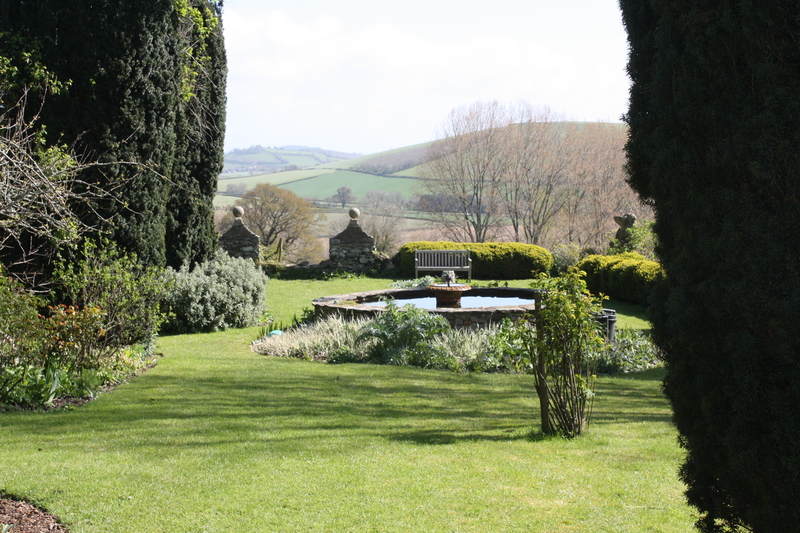 It sits quite high on a hill and has lovely views across the valley. With in the formality it is planted quite loosely with loads of old fashioned roses, geraniums, day lilies and so on. 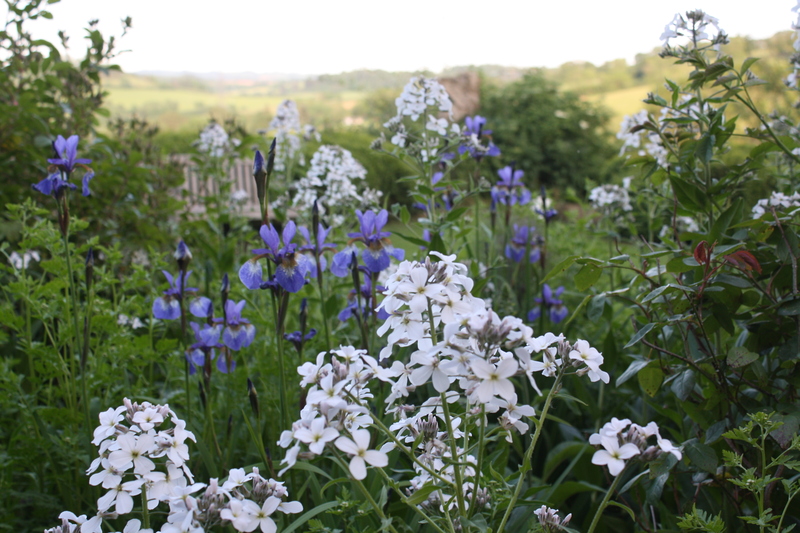 We let campion, forget me not, sweet rocket and valerian officianalis seed freely and then cull when necessary. 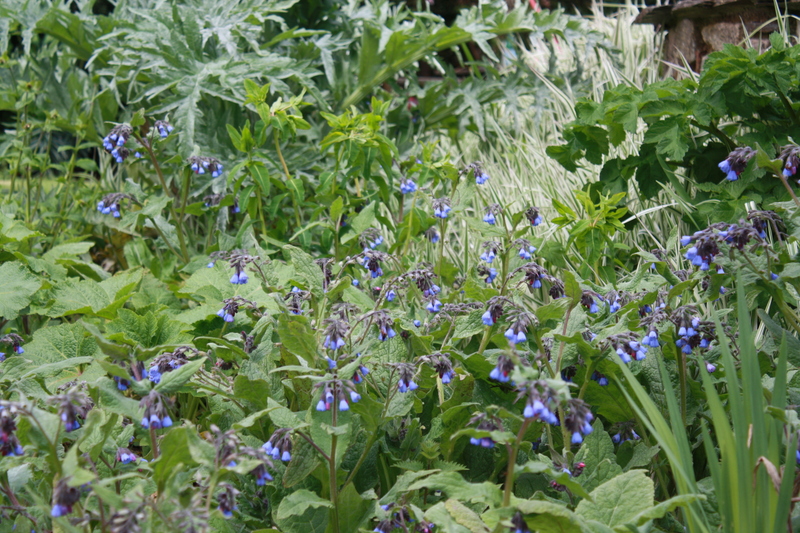 This makes it look very natural and also fills gaps creating ground cover and hence suppresses growth of unwanted weeds. 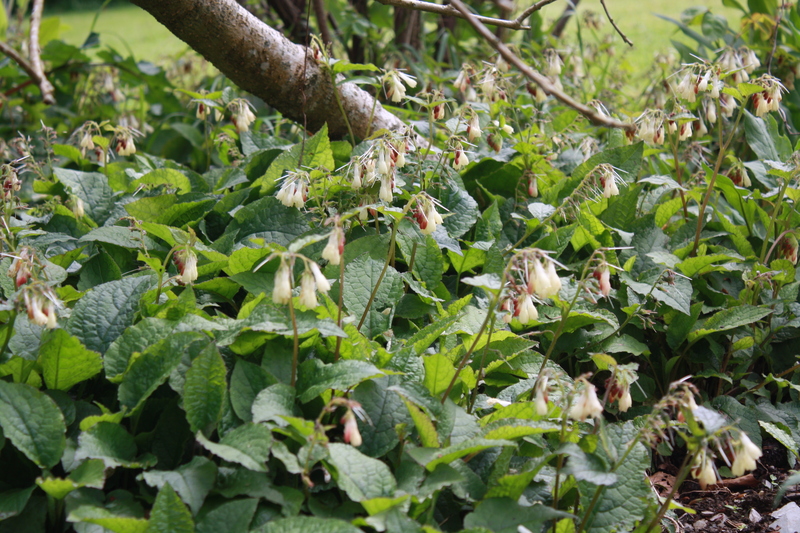 This is a taller comfrey useful for making a liquid feed and great for composting as it encourages the rapid breakdown of other materials you put in your heap and its also very pretty. 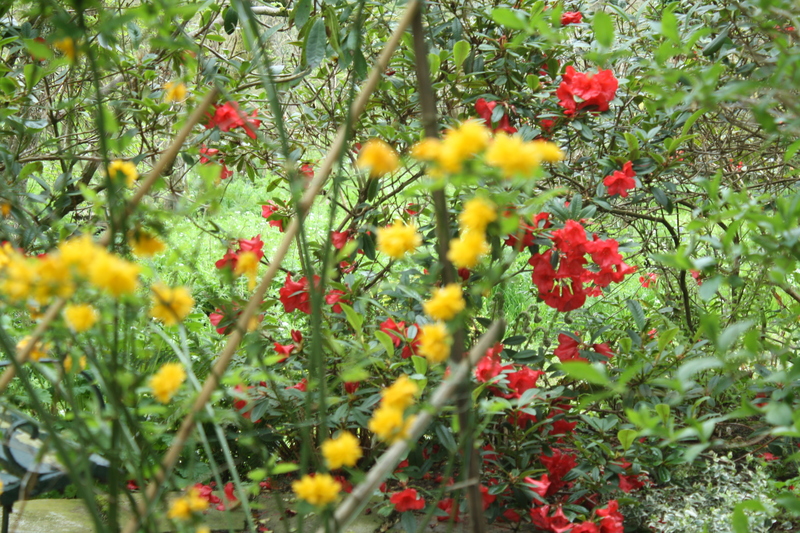 I love this combination of bright yellow Kerria japonica and a bright red Rhododendron behind. Very cheerful indeed. Just back from France having finally completed the purchase of 80 cows, three tractors a large lake and 250 acres sandy in the Vendee; the plan being to grow veg and extend our seasons just four hours drive from and a ferry from us rather than going to Spain for it. After fourteen months of buearocracy the Department has decided that we are fit to farm and the deal is done. Actually the local farming community has been very supportive and encouraging and Didier, the selling farmer, has acquired a new lease of life and decided to stay on as a partner. We are already 14 months into the conversion so the first fields will be organic and ready for cropping next spring. We have already started some crop trials of lettuce, spinach and beans. Despite a cold winter the much higher light levels are plain to see in the vigorous growth. The only obvious problems are the wild boar – showing an unhelpful interest in the broad beans – and a plague of giant rats the size of a badger. Where have all the greens gone? A farmer’s explanation. You may have noticed the greens in our boxes have fallen below their usual abundant, home-grown standards for the time of year, and that we have been rather root-heavy. I hope that a bit of an explanation will encourage you to bear with us. Why are the boxes short on greens? 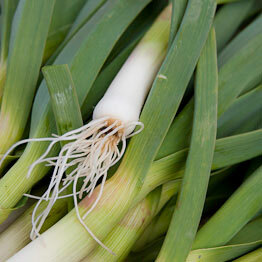 We expect to come back after Christmas to a deluge of produce that has been growing away while we were on holiday. 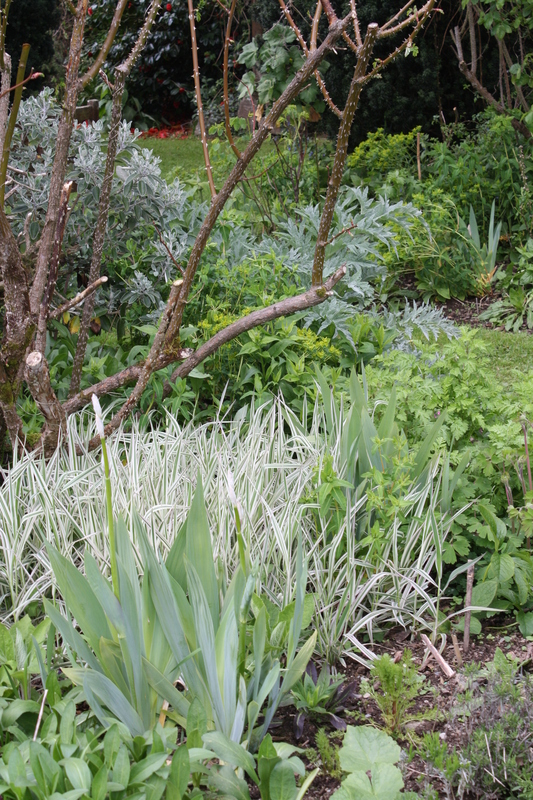 But this year we have a real lack of greens: cauliflower, cabbages, purple sprouting broccoli, leeks, spring greens. We have cabbages struggling to reach the size of a cricket ball; a cauliflower crop where the ‘smalls’ (curd size under 10cm, which usually make up 10% of the crop) account for nearly half the crop; spring greens running four weeks late and feeding more deer and rabbits than customers; and leeks limited to small shafts by the weather. The immediate reason is the exceptionally cold snap which has two consequences. Firstly, we can’t harvest them while they are frosted. And secondly, in such cold periods many plants just close down and don’t grow, even in our most south facing and coastal Devon fields. But the problem actually goes back to the appalling summer of 2008. Many of these crops were planted then, and should have had a warm dry period to put their roots down and start their growth. 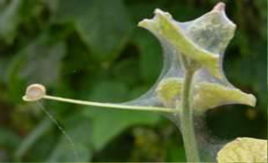 Instead they went into inhospitable, wet, cold soil, where the nutrients were leached away by rain. They had no need to put roots down deep to find moisture, and the cold inhibited their initial growth. What are we doing about it now? 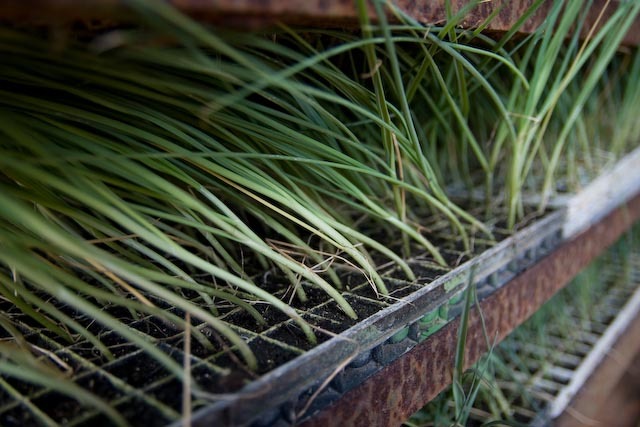 We are sourcing all we can from our other farms, benefiting from some differences in climate and soil. But the cold has been widespread so we have not been able to get as much as we’d like. As you may have noticed, we are doubling up on the produce that is coming in small. •	Onions, where in Devon we have moved away this year from our own ware onion crop because the necks never finish properly and are susceptible to mildew. We will still have the green bunches straight out of the field at all farms, but will concentrate loose onion growing with our River Nene growers in East Anglia where we can expect the best quality. 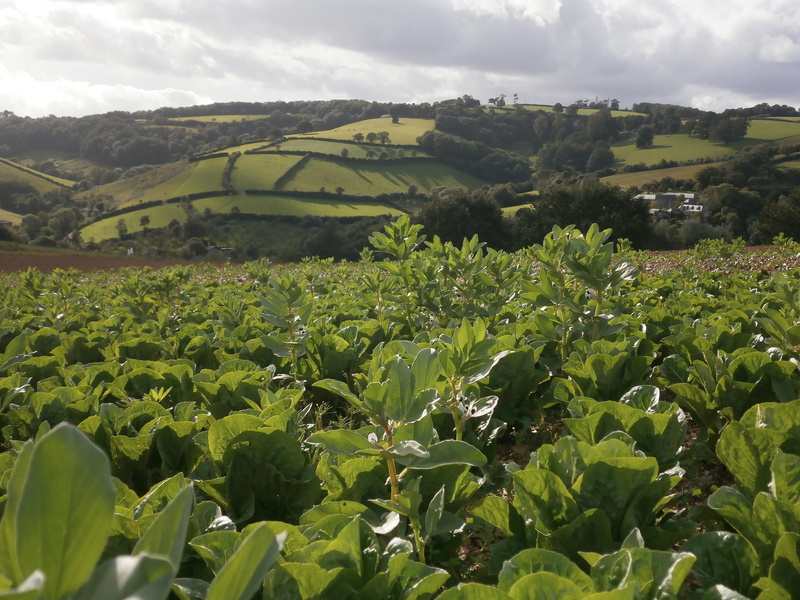 •	Butternut squash crops in Devon have repeatedly failed in recent years and for the last two years the crop was a complete write off. We don’t get the temperatures and sunshine hours down here to get a reliable crop every year, so we are planning to plant 50% in sunnier East Anglia and have 50% as a failsafe with an excellent French grower we have been working with for some years. 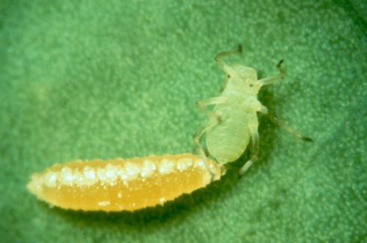 •	The sprouts from Devon were small and many showed the characteristic black spots of alternaria on the head. We managed to fill some of the shortfall with sprout stalks from Organic Dan in Lancashire who grows for Riverford on Stockley Farm. The quality was exceptional, probably down to the peat soils which are rich in nitrogen which the sprouts love. Organic Dan will produce most of our sprout stalks for next Christmas. 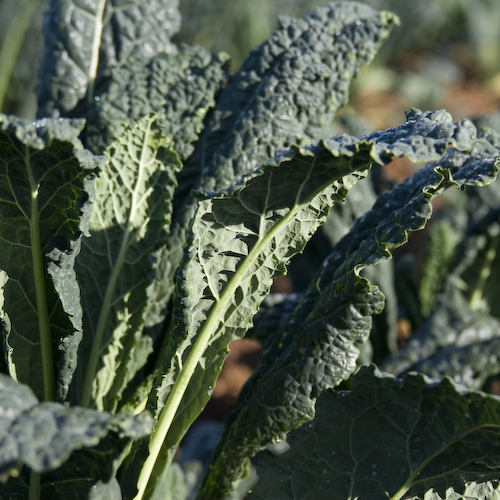 •	We are planting a large additional acreage of cabbage, spring greens, purple sprouting broccoli and cauliflower. 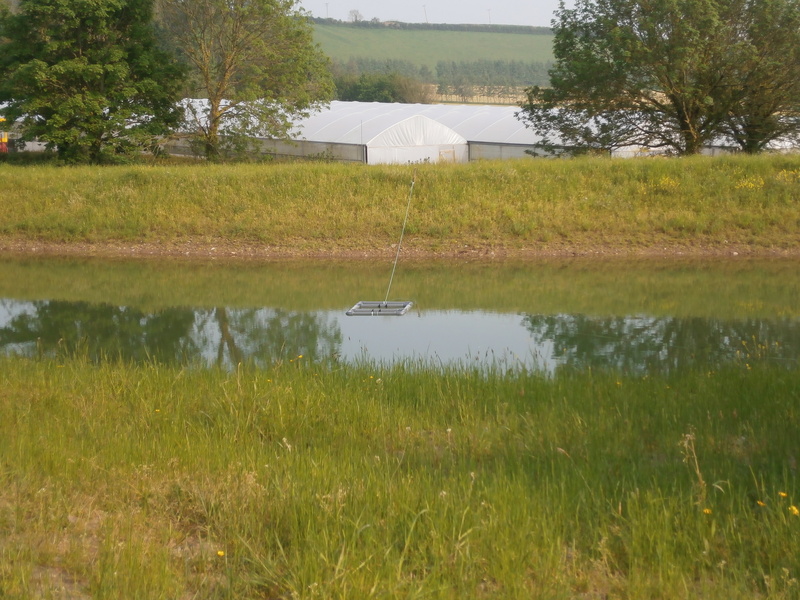 This is on top of our planned usage and will provide a useful pool if times are hard in the field. Fortunately, the situation has improved this week: produce is starting to move in the fields and yields are improving. The purple sprouting broccoli has been excellent and is starting to roll in at increasing volumes. The roots also taste wonderful, probably helped by the cold weather (the swede on my Christmas plate was the best for some years!). The cauliflower is also starting to flow in at a more consistent rate, helped by some milder temperatures – I have just seen the latest delivery and it looks excellent. So, apologies for the lack of greens these last few weeks. And thank you for sticking with us. Can it be a coincidence? Spookily, just as Rhiannon’s song ‘Umbrella’ gets knocked off the number one spot after nine weeks, suddenly the weather gets better… Who knows? On the farm we’re certainly making the most of the change and are out planting and harvesting everything as fast as we can. 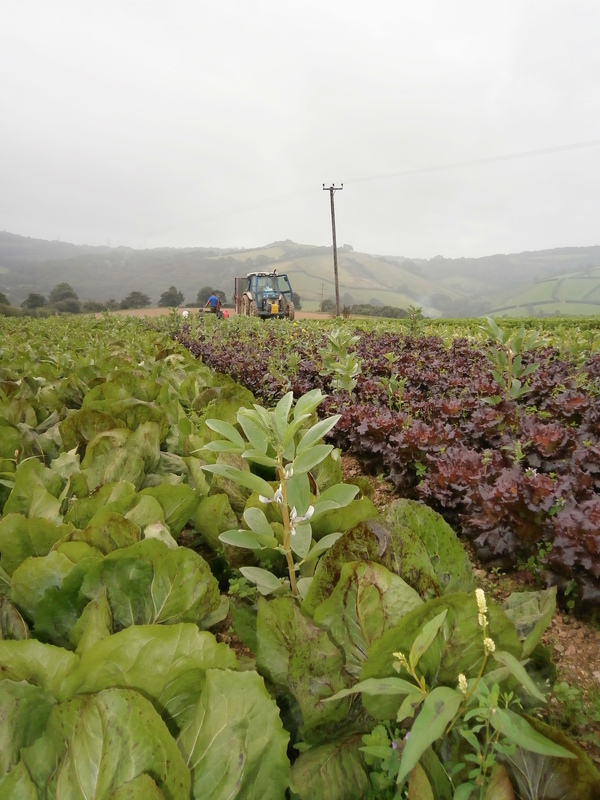 Most of the winter crops are in now – so the boxes should be well supplied for the coming months – and apart from runner beans, most of the summer crops have survived ok.